Children are always fascinated by Nativity's at Christmas time. Here is a fun Nativity that Children can play with. The characters won't break. This Nativity is made of Alder-wood Branches, with unique Picasso style faces. They are hand painted by me. 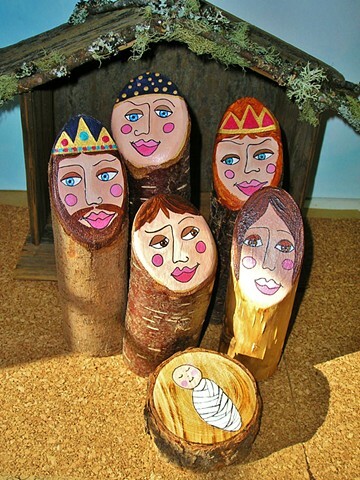 This 7 piece set includes, three Kings, Mary, Joseph, baby Jesus and a Star.